Looking for cheap flights with Transnusa Air Services? With Utiket you can search for Transnusa Air Services flights, find the lowest ticket prices and most convenient flight times. Best of all, here on Utiket you can directly compare Transnusa Air Services fares with other hundres of other airlines. We do not add any commission or fees to a booking you make, making it the best place to find cheap flights for your journey. 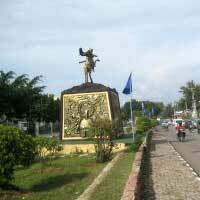 "Since flight with trans nusa and merpati... to bima or sumbawa from lombok, I always check the price from utiket.com.... a month I always flight, and utiket.com very very helping to know about the price directly.... thanks utiket.com... I hope all people inthe world use utiket.com. best regards, fb:awan tricahyono. ;-)"
Transnusa Airline Services, often called just Transnusa, is a regional domestic Indonesian airline with many routes in the eastern part of the country: the Nusa Tenggara area and in southern Sulawesi. It uses Fokker 50 propeller aircraft and British Aerospace BAe 146-200 jet aircraft to connect several cities which are not being served by the main airlines. It has made several co-operation agreements with other airlines like Sriwijaya Air an Trigana Air to offer each others routes to their customers (code-share). Transnusa Air Services flies to over 23 destinations. Most Transnusa Air Services flights are for destinations in Indonesia but Transnusa Air Services has international flights to several other countries as well, like for example Timor Leste. From its main base in Kupang 13 flights depart every week. 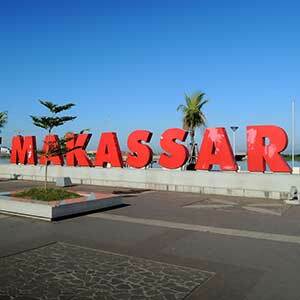 Many people who look for Transnusa Air Services tickets look for flights to Makassar and Balikpapan. Utiket is a good place to start looking for Transnusa Air Services flights as we can compare all flights by Transnusa Air Services with hundreds of other airlines and dozens of booking websites. Transnusa offers a 15 kilogram free checked baggage on their routes except for flights to and from Ruteng where you are allowed to check in 10 kilos for free. Additionally a cabin bag of 7 kilogram is allowed. On all their routes Transnusa offers a free in-flight snack and drink. Changes of flights are allowed but at a cost of course, contact the local airline's representative office. Refunds from purchased air tickets will only be considered if the passenger is in exceptional circumstances such as death or urgent medical reasons. Unfortunately Transnusa has an outdated website and does not offer an online booking service yet. This leaves you with no other choice than to book with an agent. Here at Utiket several of our partner travel agents can book Transnusa ticket for you. You can find them on the booking page of your preferred Transnusa flight.